Check out these findings on work place bullying in America. There is no place for bullying in todays society whether it be in the school yard, online social networking sites or in the workplace. It is important people are given support and help when they speak up and out the bullies. Both men and women bully, but the majority of bullying is same-gender harassment, which is mostly legal according to anti-discrimination laws and workplace policies. Women target women. 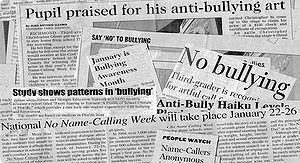 Bullying in School- Does Anyone Want to Step Up? Why Does a Kid Become Bully? This entry was posted in Workplace and tagged bullies, bullying, social networking, Workplace, workplace bullying. ONE of Wall Street’s most feared traders declares that employees who gossip about co-workers will be fired for behaving like “slimy weasels”. Self-made billionaire Ray Dalio’s list of rules to his 1000 employees detailing behaviour that he would not tolerate at his firm, Bridgewater Associates, was leaked onto the internet. Mr Dalio, who is estimated to be worth $4.75 billion, said any staff members who were overhead gossiping maliciously about a colleague three times would be fired, The Australian reports. “Never say anything about a person you wouldn’t say to him directly,” he wrote in the document, called ‘Dalio rules’. The rule cuts both ways, with company meetings stored in a “transparency library” so staff can find out what their managers are saying about them. In turn, bosses can hear any nasty nicknames they have acquired. Mr Dalio said that his workers loved his anti-gossip rules which he claimed promoted honesty within the workplace. Gossip is considered a passive form of bullying, where the victim is undermined behind their back, experts say. There are no exact figures on the level of workplace bullying in Australia but research shows that around one in five people have experienced bullying in the workplace. One New York life coach, Beth Weissenberger, teaches executives to find the source of gossip and punish the rumour-monger. “Everyone draws up their own definition of what makes harmful gossip,” Ms Weissenberger said. 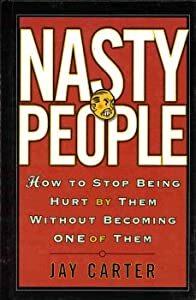 “I am not talking about the silly stuff – celebrities are fair game – but the toxic spite and resentment which kills camaraderie and gets in the way of running a business. I read the above article with interest. I am impressed with the stance thatelf-made billionaire Ray Dalio’s has taken however with 1000 employees this will be one company policy which will be hard to regulate. Much will depend on whistle blowing by staff which in can can unsettle relationships between team members. Sadly gossiping is something encountered amongs peers and colleagues, often playground behavour that has continued uncheck into adulthood and the workplace. I will be interested to see how this is handled in practice and what the results are. This entry was posted in Workplace and tagged bullying, dignity at work, gossip, nasty people, passive bullying, victim, Workplace, workplace bully, workplacy policy. This entry was posted in Workplace and tagged budget cuts, bullies, bullying, bullying legislation, change, human resources, layoffs, leadership, solutions, workforce, workloads, Workplace, workplace bullying. The allegations levelled against Gordon Brown this week are a timely reminder that bullying is not ­simply the domain of the playground. Workplace bullying is on the rise, a by-product of the added pressure placed on workers and employers by the recession. It can be hard to know where to draw the line between gruff management style and intimidation of a darker, more personal nature. Yet for some, the question of whether their boss is a bully needs no debate. Employers should have zero tolerance for intimidation or bullying, but does that mean there is no place for straight talking? 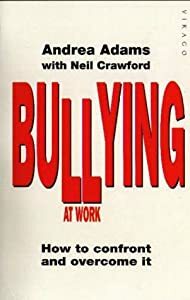 According to the Department of Trade and Industry, bullying is the intimidation of an employee by physical or verbal violence, abuse or humiliation. It includes being picked on, being unfairly treated or blamed for incidents, being routinely overworked and consistently denied career or training opportunities. It is behaviour that happens privately or in front of colleagues and in any form of communication. It is an issue underpinned by startling statistics. A recent survey by the Unison union and Company magazine revealed one-third of young women claim to have been bullied, often by other women. The Chartered Management Institute (CMI) claims 70% of managers have witnessed bullying in the last three years and that bullying costs the UK £13.8bn per year. Yet there is a danger in confusing bullying with straight talking. To assume that the latter is always the former could make us incapable of looking our colleagues in the eye for fear of unbalancing their delicate constitutions. So when is a bullying boss really only a gruff manager? Honesty can be warranted yet cruel and, according to Rutter, when we are under stress we respond emotionally. There are occasions, though, when tough talking is needed. The recession has demonstrated this and redundancies, restructuring and bankruptcy have forced us to have the difficult conversations we’d rather avoid. Nina Dar, founder of Cheeky Monkey, a change management consultancy, agrees. She admits she shocks clients’ employees because she is direct and honest, but believes this is the key to success. “I’ve had grown men tell me that I’m scary. I’ve also seen people cry because of my comments. Yet increasingly we see employees who are happy to work with this style because they want to be treated like adults who can handle challenges,” she says. Yet tough talking can become bullying, an easy line to cross. Bullies erode an employee’s judgment, sometimes so subtly that it is hard to know what is unacceptable. The issue is further complicated by the stereotypes. We can be so busy scrutinising superiors for bullying behaviour we forget to scrutinise those alongside or below us. “I took on a job with managerial responsibility and one colleague, to whom I was senior, caused me enormous problems,” says teacher Mike Durrant. “He was an awkward character and refused to co-­operate with the changes I was proposing. He’d deliberately miss meetings and refuse to share tasks. I complained to our line manager and was told to learn to deal with him. 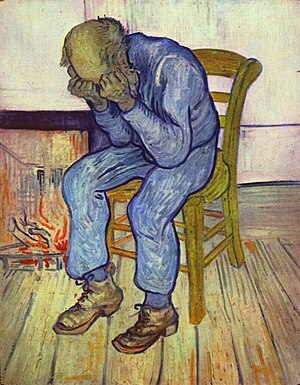 Durrant developed such serious depression he had to be hospitalised and has been unable to work since 2008. He is in no doubt this bullying is responsible for his ill health. According to a CMI survey, 63% of managers have witnessed bullying between peers and 30% have witnessed subordinates bullying their managers. Also, those displaying this behaviour may be unaware of its impact. “I don’t know if he was being a bully,” says marketing manager Jim Davies of a former-colleague. “There were times when butter wouldn’t melt and he’d be upset to know he’d hurt you. But then his deviousness would be so transparent that he looked like a man who actually enjoyed bullying people. Remind you of anyone? There’s an argument that the management style of celebrities such as Gordon Ramsay, Sir Alan Sugar and Simon Cowell don’t help. Most people confronted by such an approach would feel humiliated yet we tune in to point and laugh at chefs, apprentices and singers who are clearly distressed. Is it any wonder that we struggle to distinguish tough talking from bullying? First, talk it over with someone to establish whether the behaviour you are being subjected to really does constitute bullying. If you belong to a union, your rep should be able to help. DirectGov, Citizens Advice (0844 848 9600) and the Equality and Human Rights Commission (0845 604 6610) are also good contacts. Acas, the Advisory, Conciliation and Arbitration Service (08457 474 747), offers advice and has a useful leaflet entitled Bullying and Harassment at Work, which is available by post or online. If you speak to an outside agency or charity, make sure it follows clear guidelines on maintaining confidentiality. 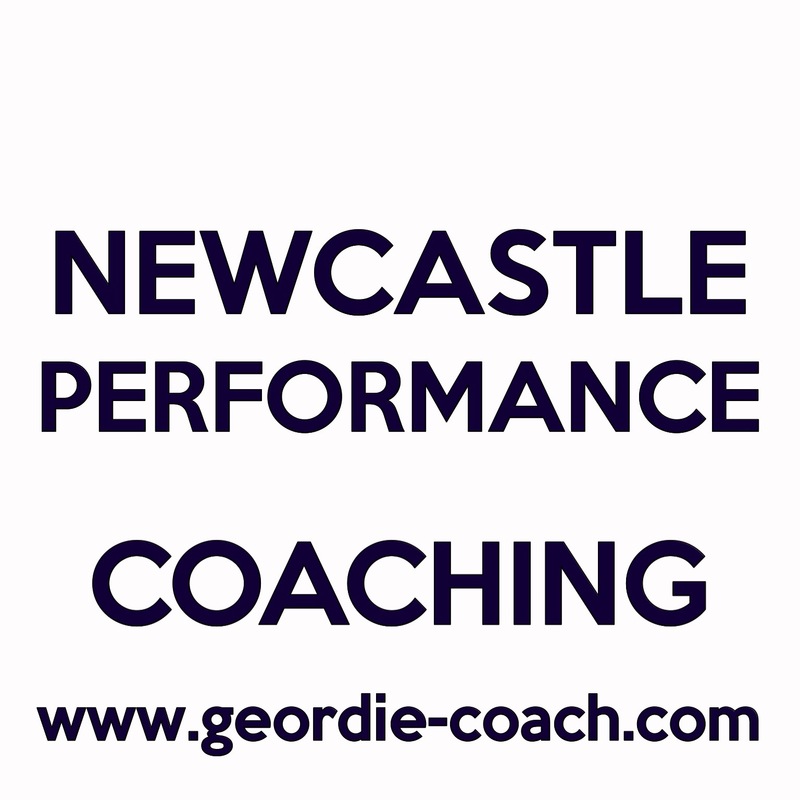 • Try to find out if anyone else you work with is suffering from or has ­witnessed bullying behaviour from the person concerned. • Keep a diary of incidents, including dates, witnesses and your feelings at the time. Keep copies of emails you think form a wider pattern of bullying. • Make the person aware of his or her behaviour and ask them to stop. You could ask a colleague or union official to act on your behalf. • If you can’t confront the person, consider putting your objections to him or her in writing. Keep copies of any correspondence. Keep your tone unemotional, and stick to the facts. 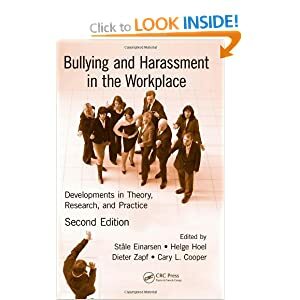 • Employers are responsible for preventing bullying and harassment. If you decide to complain to your employer, ask for information on its grievance procedures. • Instead of taking disciplinary action, your employer (or you) may wish to follow different ways of resolving the situation, such as mediation. • If you have to resign due to bullying, take legal advice. You cannot make a legal claim directly about bullying, but you may be able to make a constructive dismissal claim against your employer on the grounds that it is neglecting its “duty of care”. You will have a better chance of success if you can show the tribunal you have followed the steps above and complied with any attempt by your employer to resolve the situation. This entry was posted in Workplace and tagged bullying, bullying at work, harassment, Work, Workplace, workplace bullying. Do you have a business management degree or years of experience running a money-making small to medium sized business? If you are looking for a new career path or if you want to increase your moneymaking opportunities, business coaching is the way to go. Both a degree and on the job experience deems you qualified enough to teach others. When offering your services as a business coach, there are many areas of business you need to consider. Marketing is the most common. Marketing enables the public to know about a company and the products or services they sell. Your step-by-step guide to running a successful and profitable business should include marketing, but don’t forget the smaller aspects. For example, conflict resolution. Conflict is common in the workplace and it comes in many various formats. Coworkers have conflict with each other. Supervisors have conflict with their employees. Business owners and workers have conflicts with clients. Honestly, the list goes on and on. Although conflict is common in the workplace, it is unhealthy. It is your job to teach small business owners and their employees how to avoid workplace conflict and how to resolve it quickly and peacefully. One of the best ways to teach your clients about conflict resolution is with role-playing. If hosting a seminar retraining employees, pick a couple from the group. Begin with two employees playing themselves. This is vital. A disruptive workplace starts a chain reaction. Make the scenario where the two coworkers are supposed to be working together on a project, but only one is carrying their weight. Allow the two to attempt to resolve the problem themselves. Then, step in. Highlight the good choices and the bad. Then, coach these coworkers through a positive resolution. This involves calm voices, friendly tones, and no finger pointing. Next, work on the conflict amid supervisors and employees. If the business owner or manager is present you can use them for the exercise, but you may find little volunteers. If that is the case, select one or, once again, use two employees. Create the scenario that the boss is unhappy with the employee constantly showing up for work. Begin with the supervisor. They need to coolly approach their employee and utter their dissatisfaction. Do not blame or accuse. Next, the late arriving worker needs to explain him or herself. In this condition, it is best just to say sorry for the delay and state it will not happen again. Excuses may lead to conflict. Finally, role-play with a client and an employee. All businesses strive to please their clients, but no one is ever 100% happy. If the company you are working with is a retail store, use the example that a customer was double charged for a product. They arrive in the store the next day. There is little proof that they were overcharged. In this situation, many employees and managers try to get out of refunds. No business desires to lose or handout money, but think of the consequences. A happy customer tells their friends, but an unhappy customer tells anyone who will listen. Think long-term and about the company’s and employee’s repute. Offer a refund or let the customer to grab another of the product. As previously stated, the best way to apply conflict resolution is with role-playing. Unfortunately, not all business coaches are able to meet with their clients face-to-face. In these cases, create literature for the business owner, supervisors, and workers to read. Make it clear, short, and easy to read. Despite of how you teach your clients about conflict resolution, always emphasize the important points in the end. These include the consequences of conflict. They are an unhappy client or disruptions in the workplace that can start a chain reaction. Then restate the ways to avoid conflict, such as not placing blame, talking in a friendly tone, and addressing all issues as they arise and not later down the road. This entry was posted in Workplace and tagged communication, conflict, conflict resolution, mediation, Workplace.